It was 5:00 am on a Friday morning, and I was terrified. I was on my way to the Rios Tropicales operation center to begin a two-day white water rafting adventure down the Pacuare River—considered by National Geographic to be one of the best destinations for rafting in the world. This time around, I would be setting out for our white water rafting adventure with a different (and extremely reputable) tour agency, as well as our friends My Tan Feet. However, Dan wasn’t coming along for this one. As a result, I was a bit on edge about the entire idea of white water rafting down world-renowned rapids that very well could send me flailing into the water once more—without the very person who had ensured my safety the last time around. Of course, all my anxiety was for nothing. 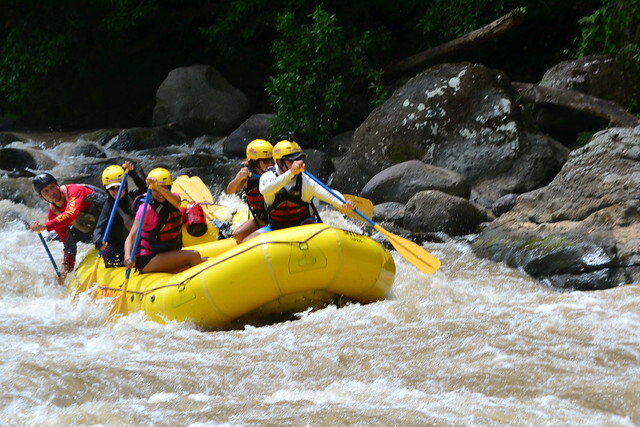 In fact, white water rafting the Pacuare River with Rios Tropicales is hands-down one of my favorite adventure activities I’ve done over the past two years we’ve been in Costa Rica. I’m already dreaming up the next opportunity I’ll get to tackle it once more! The adventure began with breakfast at the Rios Tropicales operation center. Though my stomach butterflies made it difficult to want to eat anything, the large breakfast of Gallo Pinto, omeletes, fruit and coffee was the perfect fuel for a long day on the water. This was also the opportunity to meet our guide, the person who would be ensuring we made it down the river safely. We were lucky enough to snag Chino, a bit of a legend in the area with his 25 years of white water rafting experience. Meeting Chino was the first step towards putting my fears at ease. His calm demeanor and extensive experience on the river made it clear that I would be in the best hands possible. What’s more, Chino went out of his way to ask how I was feeling multiple times throughout the trip, all with a sweet smile. I don’t say that I trust my life in the hands of many, but with Chino, it was a no-brainer. Before long, it was time to hop on a mini-bus for a 40-minute or so drive to the Pacuare River. Our group was small, consisting only of our guide, a few other Rio Tropicales employees, Sam and Yeison, and myself. Before venturing down the rapids, Chino took a few moments to remind us of the basic rafting commands, as well as to fill us in on what the day would look like. For our first day of rafting, we would only be facing Class II and III rapids; this gave us plenty of time to practice paddling as a group while also allowing us to get comfortable on the water. 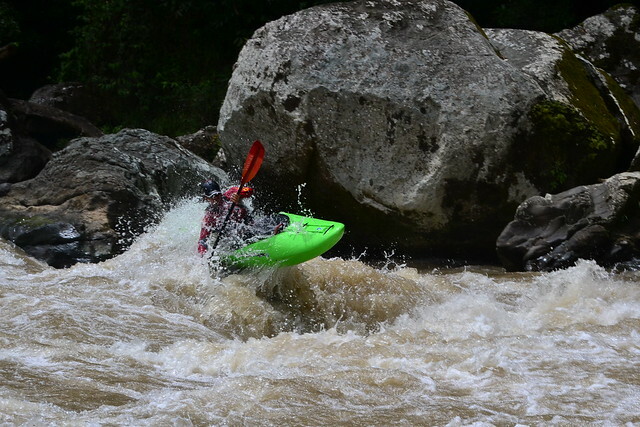 Because the rapids were a bit easier, our first day of rafting afforded plenty of time to soak in the stunning surrounding scenery, take a short break to go for a leisurely swim and enjoy a sweeping picnic lunch. 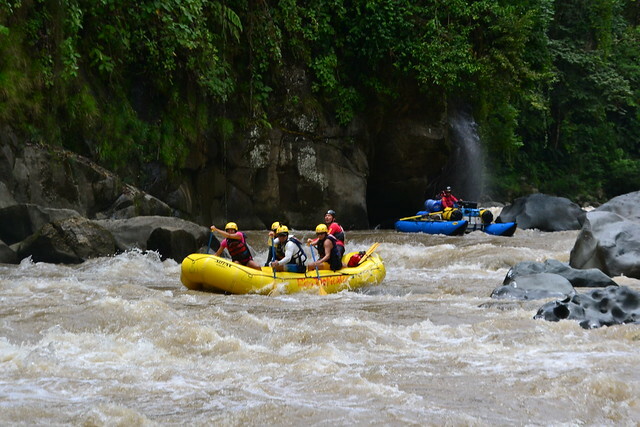 Just as the rapids were starting to increase in difficulty, we arrived at our pit-stop: the Rios Tropicales River Lodge. The Class IV rapids would have to wait for Day Two, as it was now time to relax in our surprisingly stylish and totally remote accommodation. 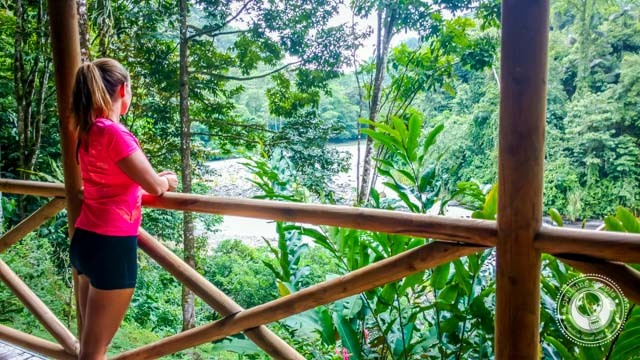 One of the coolest things about staying at the Rios Tropicales River Lodge is that it is pretty much only accessible via white water rafting. All our overnight supplies, including food and gear, came with us down the river. Due to its remote location, there was no chance of spotting other travelers or picking up WiFi or cell reception. Talk about getting away from it all! I was surprised to find my private room and bathroom were surprisingly chic and extremely comfortable. 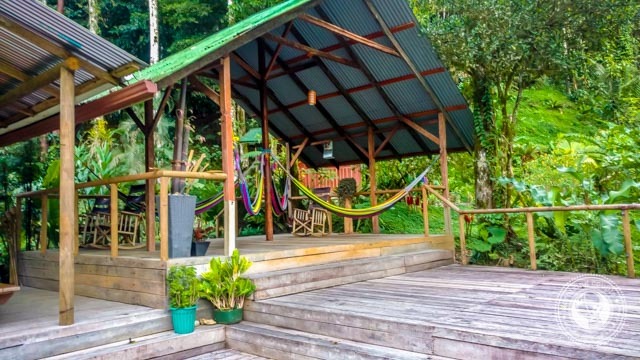 Even better was the expansive balcony and relaxing hammocks looking out to the Pacuare River—the perfect place to relax with a good book and strong cup of coffee. It was late in the afternoon by the time we arrived, but we still made time for a quick zip line across the river before settling in for a shower. Alternatively, a small natural pool and relaxation area for reading or bird watching offer additional pre-dinner activities. After a restful night of sleep and much more confidence from one day on the river, I was ready to tackle the exhilarating Class III and IV rapids ahead of us. This was a good thing, as almost straight out of the lodge was an adrenaline-pumping rapid that would have me squealing and leaning into the raft probably more than was really necessary. Something I loved about Chino is that he always took the time to explain our paddling strategy before entering the rapids. Not only did this make me feel a bit more prepared for the twirling and dropping, but it also helped me understand more about the actual skill of white water rafting. We paddled hard through multiple rapids with varying names and difficulties, laughing and shrieking on occasion, with no one falling out of the raft—a success! The second day of paddling culminated with a spectacular and calm gorge, perfect for floating through the water while keeping an eye out for birds, lizards and other wildlife. This was easily one of my favorite parts of the entire journey! I might have been hesitant before beginning our white water rafting adventure, but by the time the trip was finished, I didn’t want it to end! 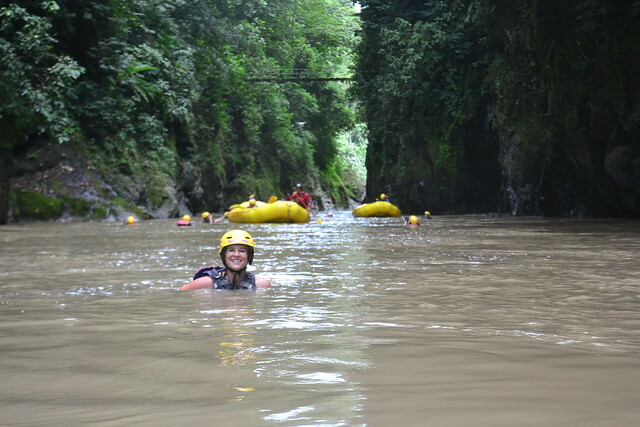 Whether you love adrenaline, you’re seeking a few days completely removed from email, or you just want to be surrounded by some of Costa Rica’s most dramatic scenery, then I hands-down recommend a two-day white water rafting trip with Rios Tropicales. Just be warned: after rafting the Rio Pacuare, it will be hard to find other destinations that can compete with its thrill and beauty! Can I fit the white water rafting trip into one day? 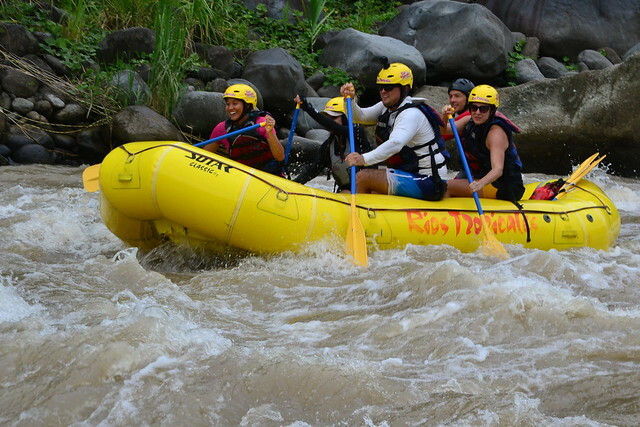 It’s more than possible to raft the Rio Pacuare in only one day. In fact, that’s what most people traveling through Costa Rica on a time-crunch do. However, I highly recommend the two-day adventure if you can. 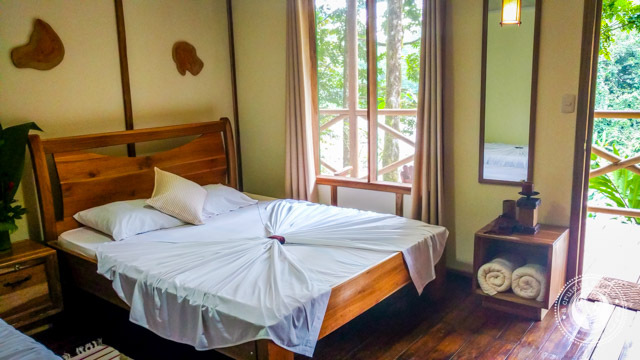 You cover the same distance (26 kilometers) and rapids whether you opt to raft the Rio Pacuare in one day or two, but the River Lodge is a lovely respite. How do I get to the Pacuare River? Rios Tropicales has some extremely affordable transfer options from San Jose, Arenal and Puerto Viejo. 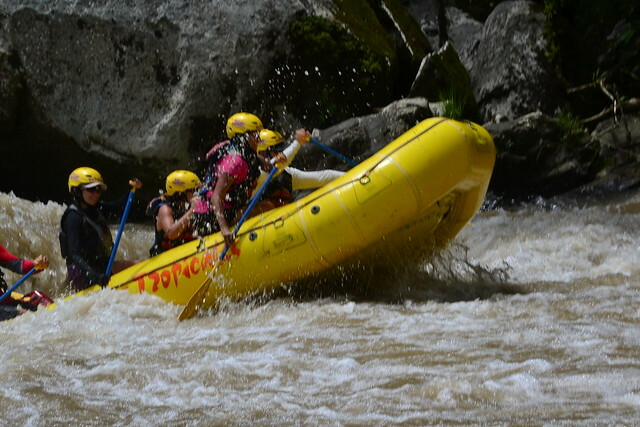 Their one-day rafting packages include transfers, breakfast and lunch, and the white water rafting. It’s always interesting to see what people show up wearing to white water raft. For comfort, I recommend a swimsuit with quick-drying workout shorts / a t-shirt on top. You’ll also want rubber-soled shoes like Chacos or Keens that are well suited for the water and won’t get lost if you fall into the river. At the last minute, I purchased an inexpensive pair of sunglasses that I wouldn’t mind losing. These with a pair of croakies were a total lifesaver, especially as I wear contacts and wasn’t too keen on getting water splashed in my eyes around every bend. If it’s an extremely bright day, consider bringing along a hat to wear under your helmet. 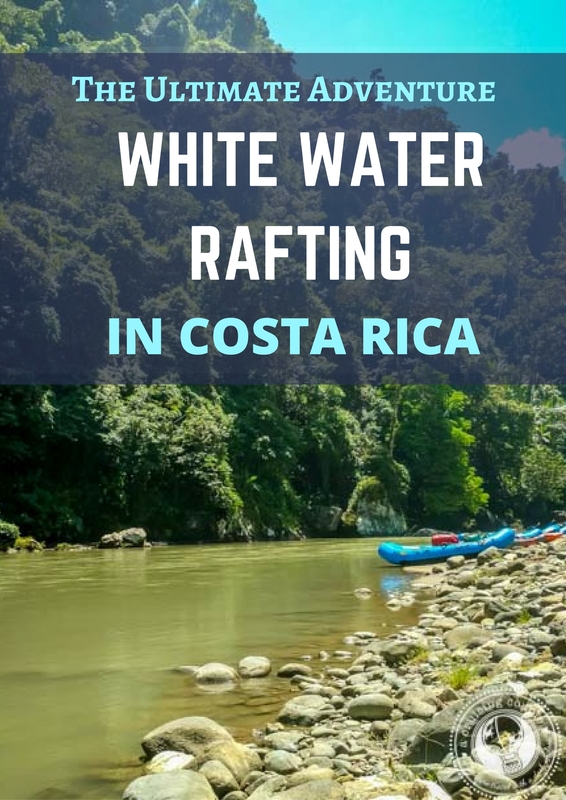 Is White Water Rafing the Rio Pacuare suitable for beginners? 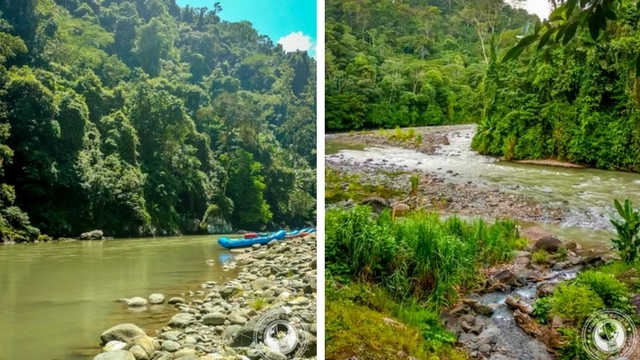 As long as you’re in good physical health and up for an adventure, then you can definitely tackle the Rio Pacuare! Don’t waste your time as anxious as I was. The guides are amazing and ensure that you’ll stay safe throughout the trip. If you have any specific questions about your ability, I recommend getting in touch with your tour operator directly. Do know that during rainy season (June – November) the minimum age is 14. During dry season (December – May) the minimum age is 12. Have you been white water rafting? Where are the most epic rapids you’ve experienced? A huge thank you for Rios Tropicales for hosting me on the the trip. I was not asked or required to produce any content from this trip – as always, all thoughts and opinions are my own. 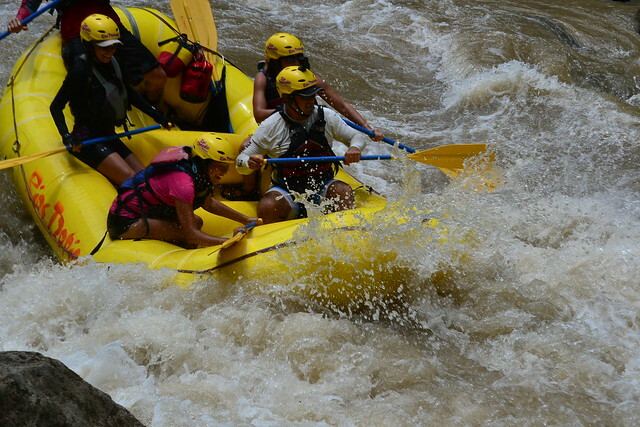 All river rafting photos are compliments of the amazing Rios Tropicales photographer.